The CEPT University which is also known as Center for Environment Planning and Technology is hailed as one of the top institutions for studying architecture in India. The university primarily focuses on comprehending the management, construction, designing and planning of human habitats. The research and teaching programs of the institute have been specially designed for proper understanding of the concepts of human settlement to make it more livable. The institute comprises of five faculties and is one of the popular educational institutesof the country. Students interested to seek admission in this reputed institution need to crack qualifying examination like that of Higher Secondary Examination or equivalent to that including any of the following subjects like Business Mathematics or Statistics or pure Mathematics with minimum aggregate percentage of about fifty from the Board of Gujarat or that of other state boards. Students after passing Diploma following the pattern of 10+3 on any stream from Technical Examination Board of Gujarat and other states are also eligible to seek admission in the university. Students scoring minimum forty percent marks in NATA( National Aptitude Test in Architecture) are eligible for admission. 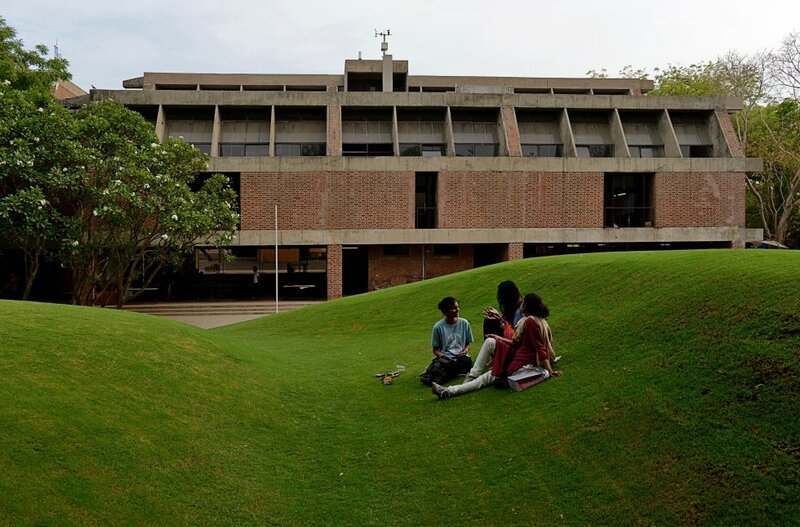 The CEPT campus for the last 39 years is helping students to shape their careers in architecture. The buildings of the university have been arranged in an organized double storied linear mass that are open on every side. The university also comprises of external seating arrangements for holding discussions and social interactions among students. The institute was established by AES (Ahmedabad Educational Society) in the year 1962 under the supervision of B.V. Doshi. Initially the University used to function under AES but in the year 1994, the institute was granted permission to form its own distinct society and trust which is commonly known as CEPT Society. After its establishment the university began to function as an independent academic body through framing its own academic schedules and programs along with awarding its degree and diploma towards the end of every academic course that are affiliated by various statutory technical bodies of Gujarat. It became a recognized university in the year of 2005. From the period between 2002 and 2005, the university was accredited to Hemachandracharya North Gujarat University which is located in Patan. 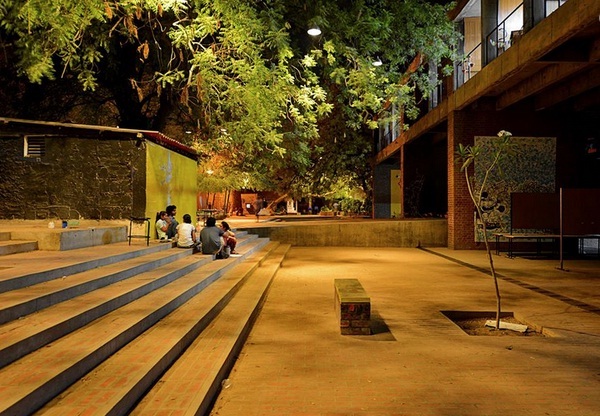 The entire area of the campus has been designed by Doshi in such a way that students are not deprived from the nature.